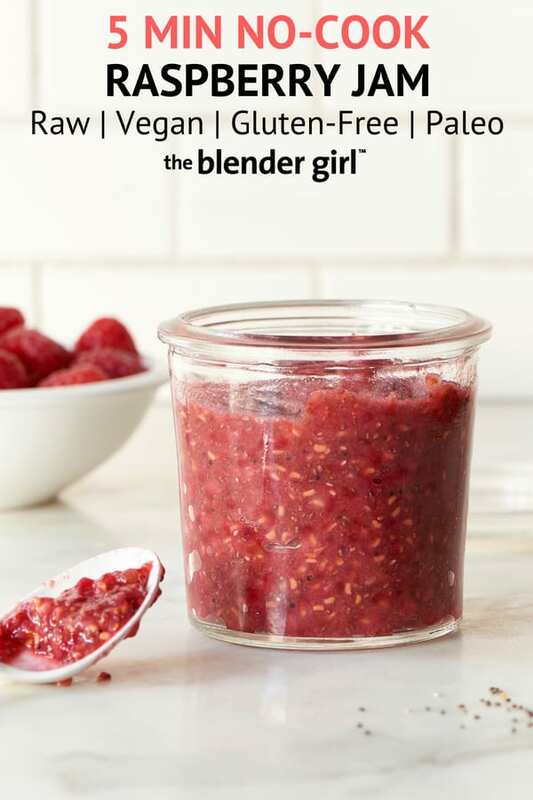 This raw raspberry jam thickened with chia seeds from The Blender Girl cookbook is really quick and easy and tastes just like conventional raspberry jam. 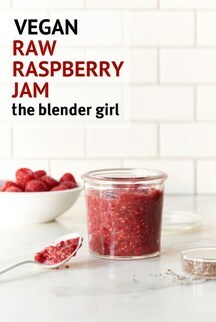 This raw raspberry jam thickened with chia seeds from The Blender Girl cookbook is really quick and easy and tastes pretty close to conventional raspberry jam. I don’t eat preserves, jams, and jellies very often. But when I do, I always make my own, so I can control the quality of the ingredients and the level of sugar! I was at my friend Kris’s house last year, and she was making home made apricot jam with a bucket load of fresh apricots her neighbors had dropped around from off of their trees. Kris is an amazing cook and has a real flare for flavors. Her home made apricot jam was delicious. But, as I was sitting at her kitchen bench watching her put cups and cups of refined sugar into the pot, I had to coat-check my liver and colon, and grab hold of my heart. There is so much sugar in jam. This quick, easy, date-sweetened jam thickened with chia seeds is quicker, easier, and contains less sugar. For those of you with allergies to pectin, this jam will be a welcome addition to your repertoire. This raw raspberry jam is absolutely delicious, and tastes just like conventional jam without all of the cooking and jarring time. This recipe is so quick and easy, you may never make the other stuff again. 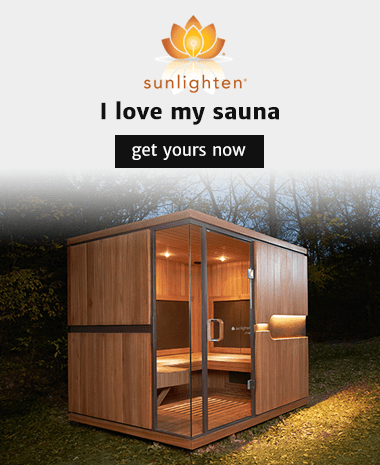 You’re also getting all of the benefits of the live enzymes, and natural fresh flavor of the raw fruit. I love raspberry jam. But, you can apply this basic principle to jams made with strawberries, blackberries, blueberries, apricots, figs, and all kinds of other fruits. The key to making this look like conventional jam is pulsing the fruit on a low speed to keep the consistency rustic and chunky. If you blend on high, you’ll get a sauce. Share what flavors you’re making in the comments below. 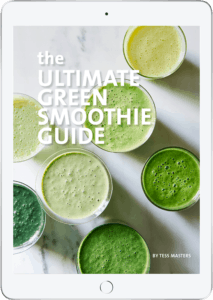 My Top 100 Healthy Recipes are in The Blender Girl cookbook. Please let me know what you think of this recipe in the comments! Your feedback is really important to me, and it helps me decide which recipes to post next for you. Pour the coconut water into your blender and add the dates. Blast on high for 30 to 60 seconds, until the dates have broken up. 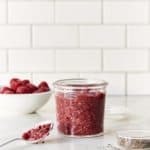 Scrape down the sides of the container, then add the chia seeds and one-half of the raspberries. Pulse on low a few times, just to break up the berries. Add the remaining raspberries and pulse a few times on low to get a thick, chunky consistency. If the jam is too tart, stir in liquid sweetener to taste. Go easy, or the jam will get runny. Chill in the fridge for 30 minutes. The chia seeds will thicken the jam, and the flavors will develop. The jam keeps in the fridge for up to 5 days.